LEGO Worlds, the latest LEGO game from developer Traveller’s Tales and publisher WB Games, comes out today and the game’s complete trophy list has been published on Exophase and the release date for the title’s first PlayStation 4 exclusive DLC, the Agents Pack, has been released. 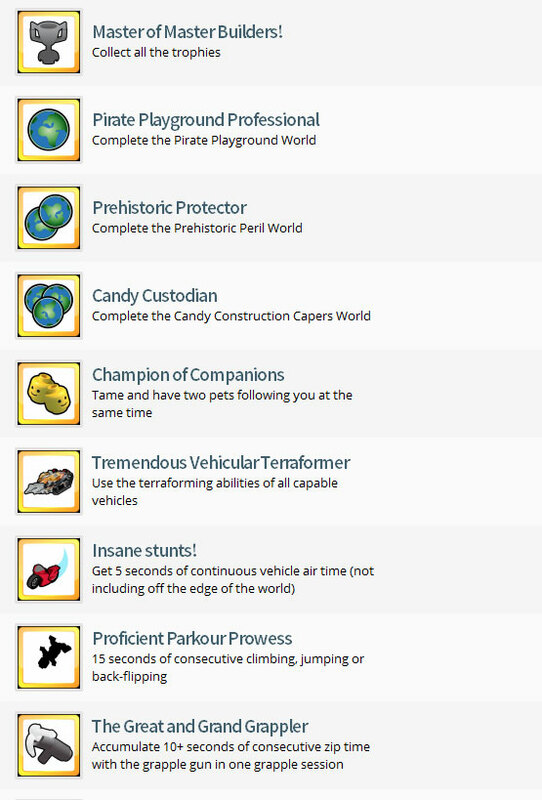 LEGO Worlds features a total of 62 trophies that include typical ones such as finding specific LEGO bricks or collecting a certain number of bricks as well as some fun ones such as riding a LEGO shark on land or blowing up another player with a Dragon’s fire ball. We also found out the official release for the game’s first DLC pack, which is exclusive to the PS4, in a tweet by PlayStation UK which also included the game’s trailer. Called the Agents Pack, the DLC adds a new campaign for players to go through wherein they take on the role of secret agents. The LEGO Worlds Agents Pack DLC is set to come out on March 10. As for LEGO Worlds itself, watch out for our review coming out soon.